A good video, one that lets farmers tell about their innovations, can spark the viewers’ imagination. A video can even convince smallholders to try a new crop. 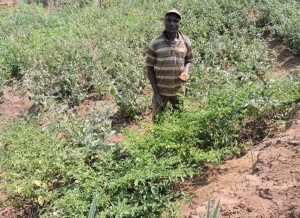 Lester Mpinda is an enterprising farmer in Mwanza, Malawi. Mpinda has a vegetable garden, known as a dimba, which is irrigated with water from a hand-dug well. A dimba is hard work, but worth it. Mpinda grows vegetables, and sells them in the market in Mwanza. 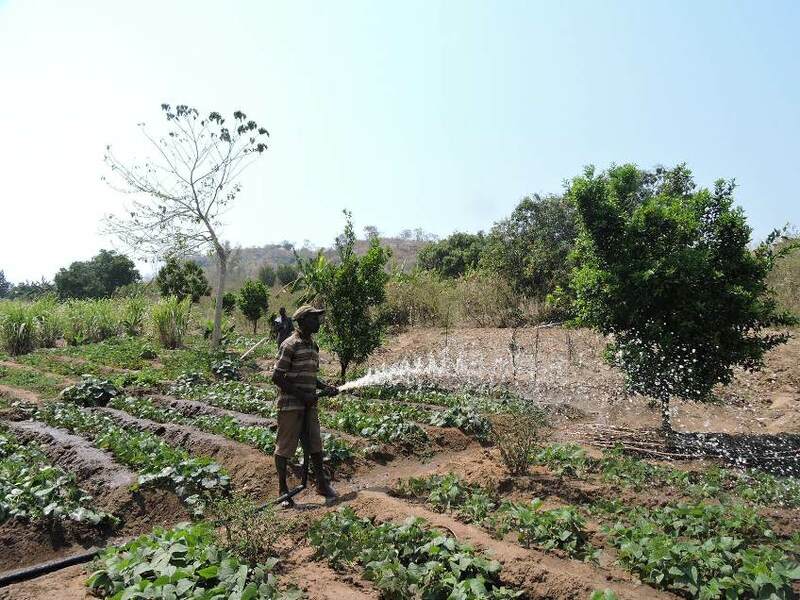 In 2013, he was able to use his earnings to buy a small, gasoline-powered pump to water his beans, onions and tomatoes. A $100 pump is a major investment for a Malawian smallholder, but also a great way to save time and avoid the backbreaking labor of carrying water from the well to the plants during the long, hot dry season. With the money earned from his productive dimba, Mpinda bought a small stand, where his wife sells vegetables in the village. In June 2015, Ronald Kondwani Udedi left some DVDs with videos at a government telecentre managed by Mathews Kabira, near Mwanza, Malawi. The DVDs had learning videos for farmers about growing rice and chilli peppers and managing striga, the parasitic weed. Mathews took one set of DVDs to Mpinda, because he was “a successful farmer. Mpinda had a DVD player, but no TV, so he watched the videos on chilli growing at a neighbor’s house, using the neighbors TV and Mpinda’s DVD player. He watched the videos as often as the neighbor would let him. The more he watched, the more he learned. 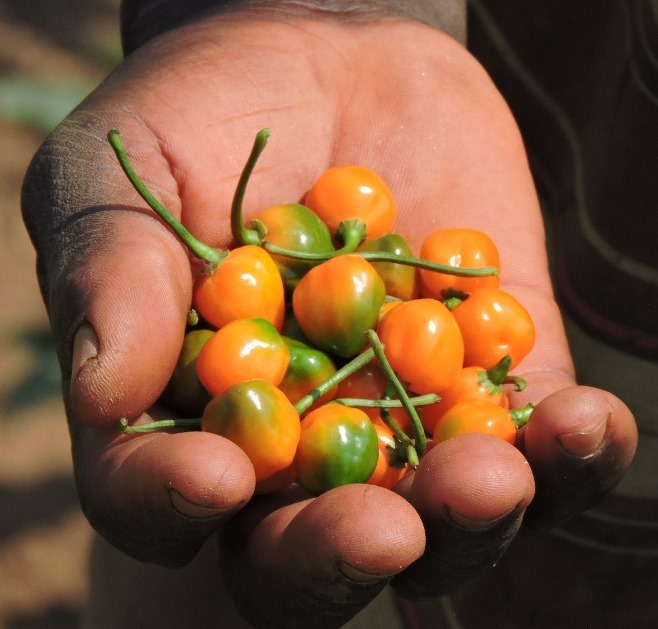 Mpinda soon recognized the possibilities of chilli as a crop, even though he had never grown it. To start a new crop you need more than a bright idea; you need seed. Getting chilli seed took some imagination. Mpinda went to the market and bought 20 small fresh chillies for 100 Kwacha (14 cents) and then dried them, like tomatoes, and planted the little seeds in a nursery, just like he had seen in the video. 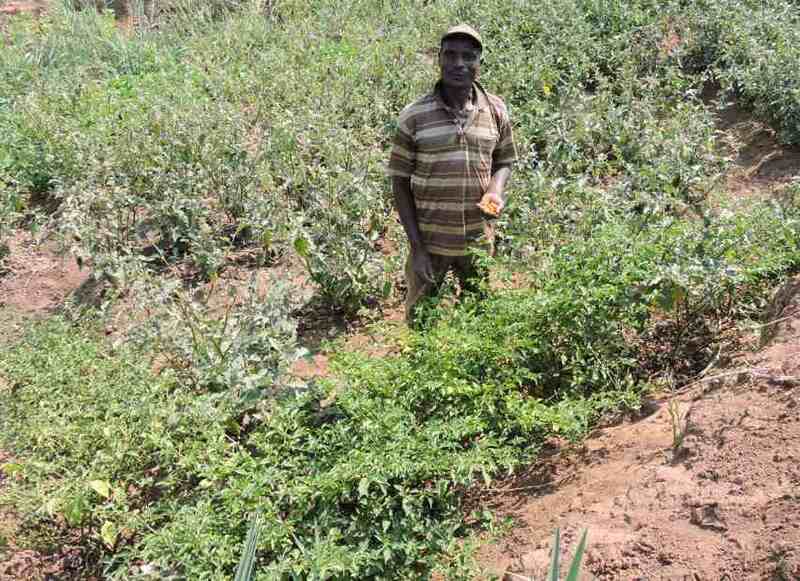 Mpinda had already been used to making seedbeds for onions and some of his other vegetables. At 21 days he transplanted the chilli seedlings, as he had seen on the videos. Now Mpinda has several dozen plants of chillies, a perennial variety which is eaten fresh in Malawi. People cut up the fiery chilli at table, to add some zest to meals. Every few days Mpinda harvests three or four kilos of chillies and takes them to the market and sells them for 1000 kwacha a kilo ($1.40). Mpinda has already planned his next step. After harvesting his little patch of eggplant, he is going to clear the land and plant a whole garden of chilli. 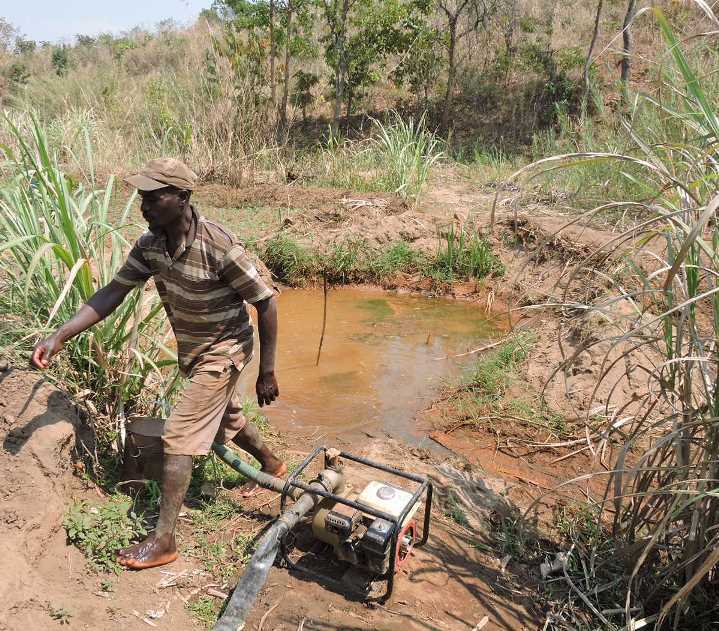 Mpinda has also watched the DVD of rice videos, and although no one in the area grows rice, he realizes that the crop would do well in the slightly higher space, just above his rows of vegetables. He has already looked for rice seed: there is none to be found in Mwanza and the agro-dealers won’t or can’t order it for him, so he is going to travel to the city of Zomba, 135 km away, and buy rice seed there. Mpinda has already identified the major rice varieties grown in Malawi and decided that one of them, Apasa, is the best for highland areas like his. He is going to plant rice in October, possibly becoming the first rice farmer in Mwanza district. Mpinda didn’t watch the rice and chilli videos as part of a farmer group. He didn’t have an extensionist to answer questions. He simply had the videos which he could (and did) watch several times to study the content. And this information alone was enough to inspire him to experiment with two crops that were entirely new to him.